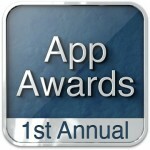 App Advice, an iPhone application review site, is having their first annual “App Awards“. The voting will end on Sunday, July 19th, 2009 and you can vote in as many categories as you want. Groups and Faces, designed by Bandar Raffah from Saudi Arabia. Twittelator pro and Tweetie twitter clients. Rolando and Rolando 2 fun adventure games. geoDefense one of my favorite tower defense games. Weatherbug more accurate Saudi Arabia weather than AccuWeather in my opinion. 1Password syncs with the desktop version to have access to your passwords.